Compact cameras hold the promise of being able to bring more to the site than when using one's studio or regular sports photography gear. 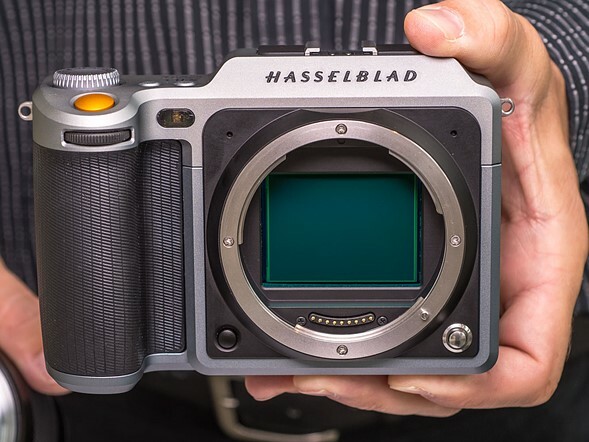 Some ten hours from now, Hasselblad will be releasing official specs of their new mirror less MF camera with Sony's 50 MP CMOS sensor technology. We don't know who made the body or whether these are Fuji or Zeiss lenses, yet, but coming out with a 45mm and 90 mm lens tomorrow as about $13,000 total seems competitive with Leica S and with the Pentax 645 Z.
I am happy to see this movement and hope we'll learn more about image quality and the professional handling of this new camera! 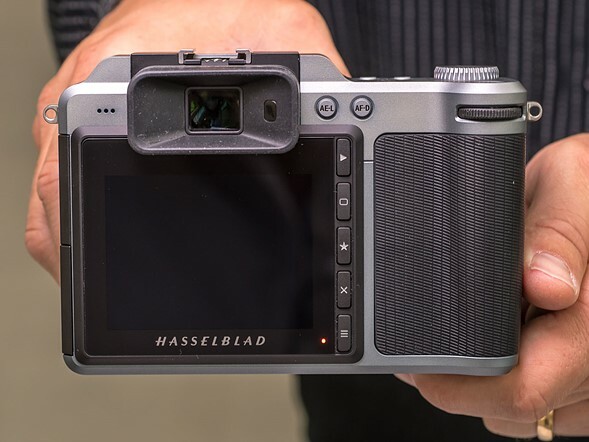 Some ten hours from now, Hasselblad will be releasing official specs of their new mirror less MF camera with Sony's 50 MP CMOS sensor technology. Oh, poo, I'll be asleep! We don't know who made the body or whether these are Fuji or Zeiss lenses, yet, but coming out with a 45mm and 90 mm lens tomorrow as about $13,000 total seems competitive with Leica S and with the Pentax 645 Z. You started by mentioning "compact" cameras. Is this expected to be a "compact" MF camera? Smaller than my Brownie? Am I missing something? Imagine a portable cypher machine that could decode complex code and ran on a 9volt battery and fit in your jacket pocket, then. That's what this new camera means to me! And the sensor dimensions seem to be 44 mm × 33 mm. It's enough to make one want to shout "MF!" 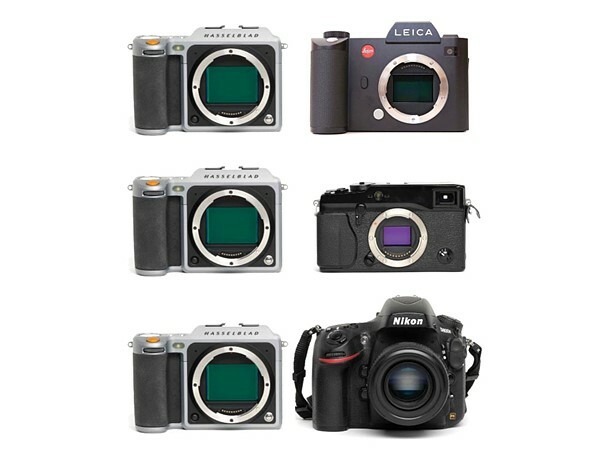 gives a nice comparison of the size of the new machine vs. three other cameras (I'm not sure I know exactly what any of them are, but I'm sure the aficionados here will recognize them). Weighing in at just 1.6lb, touch screen for focus and a top flash synch of 1/2000 Sec makes this an exceptionally proficient pro class camera - assuming the lenses and Sony sensor function as well as when located in a Leica, Pentax, Leaf or Phase One cameras! I am impressed, at least on the physical design and exceptional specs! Leaving the price aside for a moment, it is a very tempting camera and I am confident that it will sell quite well in its intended market. But I fail to get the photographic purpose. Landscape, maybe. For anything else, the lack of a fast AF (contrast detect only), the small resolution EVF (compared to the gorgeous ground glass of MF cameras) and the limited line of lenses are obvious drawbacks. The key question, if this otherwise one's choice camera, is whether there is automatic magnification available for checking focus in the Underwhelming EVF. For me, this would replace my Sony A7R. Would it be used in portrait or landscape mode, I haven't yet seen how the sensor is positioned! I would use it for portrait photography and scenes I set up with actors. (But again, I promised myself to spend time on film. That's what I should do!) But I would be very happy to have this camera, although the Pentax 645Z is likely to be far more capable if one can carry double the weight! Well, given that the sensor dimensions are stated as 44 mm × 33 mm, I would assume that it is oriented with the 44 mm dimension horizontal when the body is held in the "obvious" way. Of course, if we were to hold the camera with the long axis of the body vertical . . . Most probably. That feature is present in every camera with an evf, I think. Doug Kerr explained how the sensor is positioned. ....and I took my driving glasses off...and I thank you. Yes this is a landscape camera .....and for astronauts! We of course do not know whether the hands shown are of "average" size or Trumpian. The main "mode" dial, seen here on our left, is shown "extended". It can be pushed down into its well when we do not need to fiddle with it. Another push makes it re-emerge. It seems to have both front and rear control wheels, the counting of which is an obsession with some aficionados. The shutter release is orange so as to impress your friends who do not read Swedish. The mount looks very Canonesque. Perhaps it is similar to other Hasselblad mounts - I have not been paying attention to such. The flash shoe is said to follow the Nikon interface, which is supported by a wide range of flash units from different suppliers. The neck/hand strap lugs are lovely - in the classic style. This looks like a machine that even an enfeebled old guy like moi could conveniently carry, at least with a modest-length lens onboard (I think it is smaller than my Panasonic Lumix DMC-FZ1000). But the funds that could be devoted to its acquisition have been committed to a remodeling of Carla's kitchen. This will probably have significantly more leverage upon the work to be presented here. Carla has to be the least materialistic kitchen designer in the USA! I cannot imagine even an IKEA kitchen on sale could be purchased for $13,000, appliances included of course! From my experience of kitchen design, you'd be better off with the bragging rights this new lightweight camera will bring .......and if you wish you could earn the $$ back weekends assisting a wedding photographer taking candids as the bridesmaid's dress! Wear a red or yellow silk scarf with your iconic eye-twinkle and they will be assured of your artistry too! No, this job does not include new appliances or cabinets. Just a new floor (ceramic tile), new countertops ("solid surface", like Corian), new embedded sink, new faucet, new garbage disposer, existing cabinet exteriors and doors refinished (paint, turquoise, new fittings). It includes ceramic tile in the entry hall (communicates with the kitchen). Should come in at about $10k. There seems to be some editorial lapse in that sentence (perhaps the result of "help" given by your i-thing). Were you speaking of candids up the bridesmaid's dress? Or that I should become the bridesmaids' dresser? "Yes, I know how to get them into that." Well, a good thought. We are also pondering Jerome's suggestion that I wear a colored hat. Perhaps something Tyrolean. As to showing off, I get plenty of cred from the "Leica" name prominently displayed on the lens on my Lumix FZ1000! "Oh, and I see you are using a Leica lens." The price tag is beyond reasonable for my use, but I wished for a digital equivalent of the Mamiya 7 II for some time already. I find this image particularly telling. It is taken with the 90mm at f/8. We see a wall with books behind the main subject. I find that the rendering of the out of focus area is extremely "busy", as if the image was vibrating. The writing on the books is not recognisable. Some blue/white elements on the wall are doubled. Looking at the telephone specular highlights in full resolution, one sees that the octagonal shapes of the aperture have an intense rim, which is considered the mark of poor "bokeh". 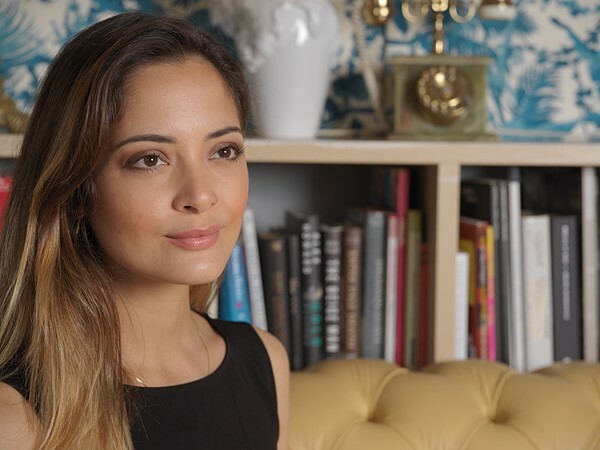 It seems that this particular lens was optimised for sharpness, but not for "bokeh". It remains to be seen whether the 45mm and future 30mm are similar in their rendering, but the 90mm is not to my tastes. The performance car market is, I think, a perfect analogy. Ferrari and Porsche sell perfectly competent track cars, but they are purchased almost exclusively for status, not the track. In this type of market, it is absolutely critical that your product be the real deal, the cars have to be competent on the track, the camera has to be excellent. But the intended purchasers are not serious racers, nor serious photographers. There are not enough of those people to support the kinds of revenues these vendors want. Fully competent, a bit pricey, and a few really very nice accessories that just don't make sense for the serious amateur. Oosting has been studying up on just how Ferrari is different from Prada, and he's on the trail. Yes, this is tragic abuse of a precious subject. The background is neither in focus, so it can be part of the scene proper, nor blurred in an artistic way. It is just "not in good focus". It gives me a headache. But it's a very expensive headache. I agree with the comments on this sample image, but why ƒ8 if you want a nice booked with a not so far background? You be right about the fancy race car analogy! 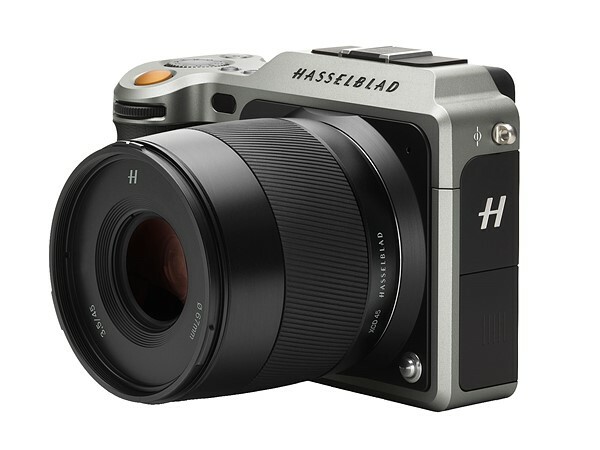 Yes, it could be that Hasselblad has once again used its venerable brand name to hype a high end "chatka" like the previous offering of a leather bound rebadged Sony. However, I have played with the camera and believe it is very well conceived in the heritage of the Mamiya 7II or a version of a Fuji MF rangefinder. This camera when it lands in your hands it finds its home. As to the f8.0, that was for 50 years ago. I never close down lenses like that! Unfortunately I wasn't allowed to slip in my own SD card. The camera is really and truly a beta test model. The firmware is not complete but it still has a wonderful star button on the back right of the screen, which gives 100% magnification for checking focus. The camera is a delight to hold and it simply feels so well suited to deliberate photography. That's what it's for, not for sports, just for a slow plodding creative person with a mind for making images. ......and it has a $300 adapter to allow it to use a lot of Hassy lenses with autofocus. But for me just the 45mm lens would cover most of my needs. ... but it still has a wonderful star button on the back right of the screen, which gives 100% magnification for checking focus. Just what does that mean in this context? I might conjecture that, in parallel to the unfortunate locution "100% crop", it means a pixel-for-pixel rendering on the display screen from the sensor. But of course there are a number of other possible interpretations. Yes, I can well understand that sort of pleasure. It is a "lovely thing". It's like first looking at a wonderful lady and then holding her in your arms and you knowing it was meant to be. When I held the new Hasselblad, it was like a friend I had missed that finally returned to me. 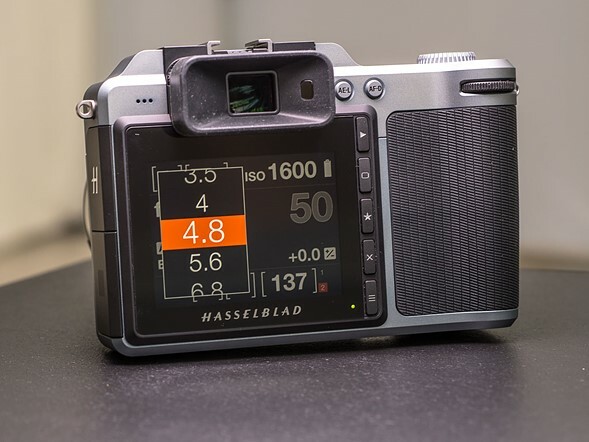 I cannot imagine that Hasselblad will have any issues fully exploiting the already proven Sony 50 MP CMOS sensor, (loved by so many Pentax, Leica, Phase One users), in this lightweight "rangefinder form" body. As an extra detail- rich platform, (rock solid and vibrationless) for posed, even hand-held, bridal shots or board meetings, this a lightweight, non demanding addition to a pro photographers bag. For me, an artist and enthusiast, it is just the tool I would love. Just need to get over extreme ordinary expenses of making a giant sculpture and then we will see! It's like first looking at a wonderful lady and then holding her in your arms and you knowing it was meant to be. I wholly understand, both as to that actual occurrence and it as a metaphor for holding a wonderful piece of machinery! Yes, the fiscal realities of life! First: these are the only pictures we have. If I had pictures taken at f/5.6 or f/4, I would use that. Second: bokeh usually somewhat improves with smaller apertures. If this particular lens shows a rim at f/8, I fear what it does at f/4. But maybe that lens is an exception. Third: if you want to print that image big, f/8 is not a bad choice. At f/8 one eye is in focus, the other one slightly less so. Open the aperture any more and one eye will be obviously out of focus. My experience with medium format, although admittedly limited, taught me to close the aperture around f/8 for this kind of subjects. The fancy race car analogy made it clear that Porsche and Ferrari are quite competent cars on the track. I am pretty sure that a X1D is quite competent as a camera. Point well made! These are great heritage brands from companies where excellence and quality control are central to company ethos! I admire great workmanship. One can get it in a beautiful and precise French or Swiss watch, of course, but today my time is on some wall clock or my iPhone. A Hasselblad, however, would give me a unique tool that I think can work hard with and never get tired. It seems so obviously simple, basic and well made for the task of photography for someone who can take a little more time. Great things, those hazel leaves! Well said. One doesn't need to be a professional to enjoy a Hasselblad any more than one need to drive on a racetrack to enjoy a Ferrari! Fortunately the experience generates enjoyment without having to push the machine to it's extreme performance abilities, be it photography or driving. Similarly one doesn't need to go to the oscars to enjoy wearing a Hermes bag, or scarf or a Channel dress. One of the characteristics of luxury products, which is what we are talking about here, is that they involve all the senses: sight, olfactory, hearing, touch, taste, emotions. Extreme performance is therefore only one of many aspects and not the most important necessarily. Another characteristics is that they are equally appropriate for everyday use as to unique events. Using such products is all about maximum enjoyment as you point out.